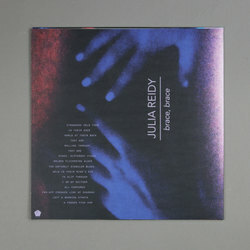 Julia Reidy - brace, brace. Vinyl LP. Bleep. Rarely since John Fahey has finger-picked guitar done so much with so little. 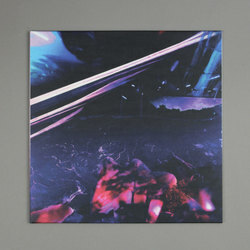 But Julia Reidy’s quiet expertise doesn’t stop with her mantric playing; brace, brace shocks and inspires with its abrupt left turns into uncanny vocals, emergency stops, unbridled discordance, and ghostly drones. The complete package is akin to a post-apocalyptic world, endless wastelands where microtonal guitars and cobbled digital technologies coalesce to form neo-folk sounds after the rapture. This is psychedelia that won’t sit still, untamed folk music, American future-primitivism.